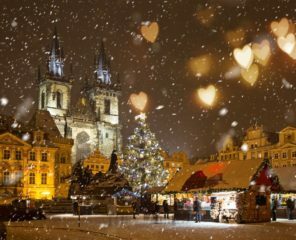 This past December, my husband Berty and I went to Prague during Christmas. We spent time visiting traditional christmas markets, exploring castles, and drinking lots of beer – of course! 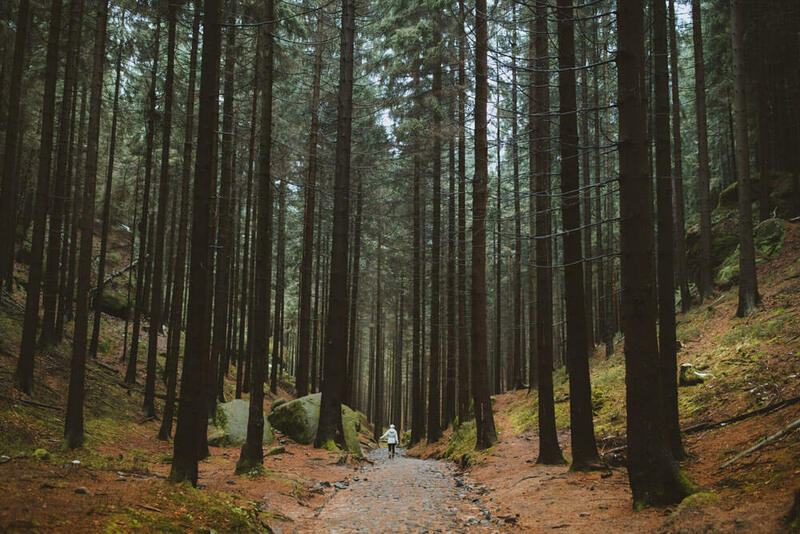 However, being the outdoor lovers we are, we were looking for more ways to see more of the Czech Republic. After some research and connections, Berty and I discovered that Northern Hikes runs incredible day trips from Prague. This was the solution we were looking for! 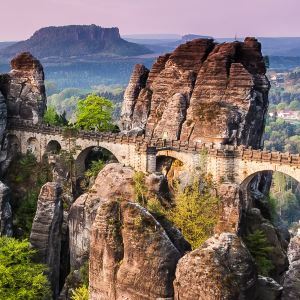 The convenience of this adventure was obvious – you could go from being right in the heart of Prague to the middle of nature in only two hours! 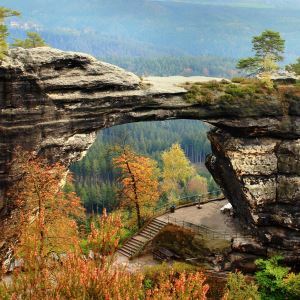 Visiting Bohemian Switzerland in the winter provides benefits that no other season can give. 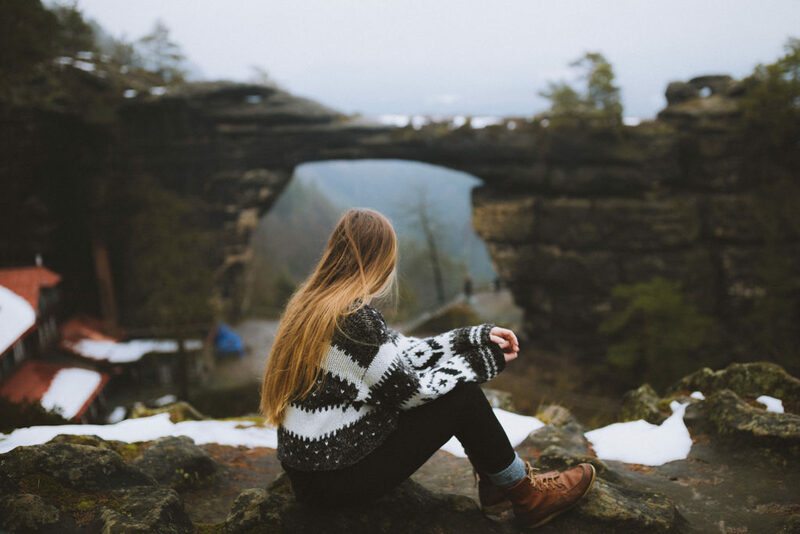 In this post, we’re sharing why this area is so special during the winter, and why you should come when it’s cold outside! It makes sense that most of the crowds come in the summertime. The weather is fairly predictable, it’s warm outside, and the sun is shining! However, if you sway towards more adventurous experiences, we definitely recommend coming in the winter. 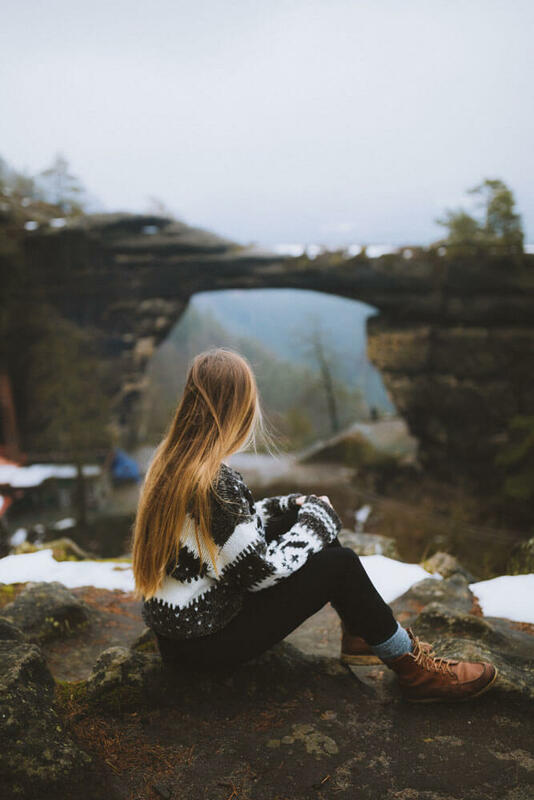 With unpredictable weather and chances of snow, Bohemian Switzerland in the winter attracts only the bravest to test the elements. Berty and I came with our group, and our van was the only one in the parking lot! 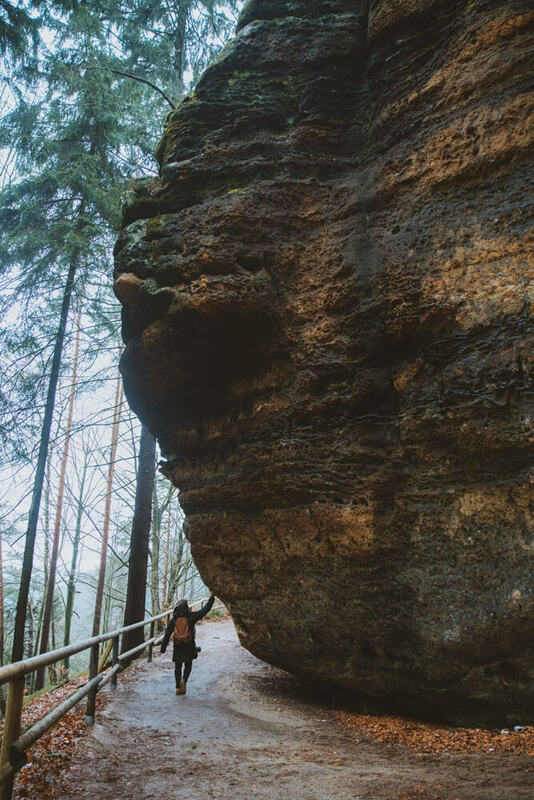 Less people come to Bohemian Switzerland in the winter, so you can enjoy a nearly uninterrupted journey! Fewer crowds can also mean less noise and distraction. Marek, our guide, stopped occasionally to show us incredible sandstone structures, natural erosion, and incredible geographical features of the area. Berty and I found ourselves standing at the edge of the overlooks and soaking in the beautiful sweeping landscape. 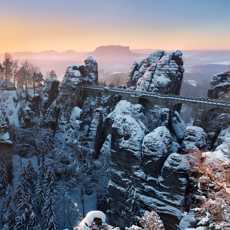 Coming to Bohemian Switzerland in the winter lets you connect with nature in a way that is unique and special to the season. On our most recent trip there wasn’t a lot of snow, but we’ve heard how beautiful it gets when it’s in full winter mode! We were excited to see the sandstone arch featured in the movie “The Chronicles of Narnia: The Lion, The Witch, and The Wardrobe”, because in the movie it was wintertime as well! This places gets a new life with the changing of the seasons. Colors change, scenery takes on a new look, and the winter provides you with unique opportunities to capture the landscape in a new form. What if it’s not your first time out here? For instance, you may have already taken a trip up here in the summertime. 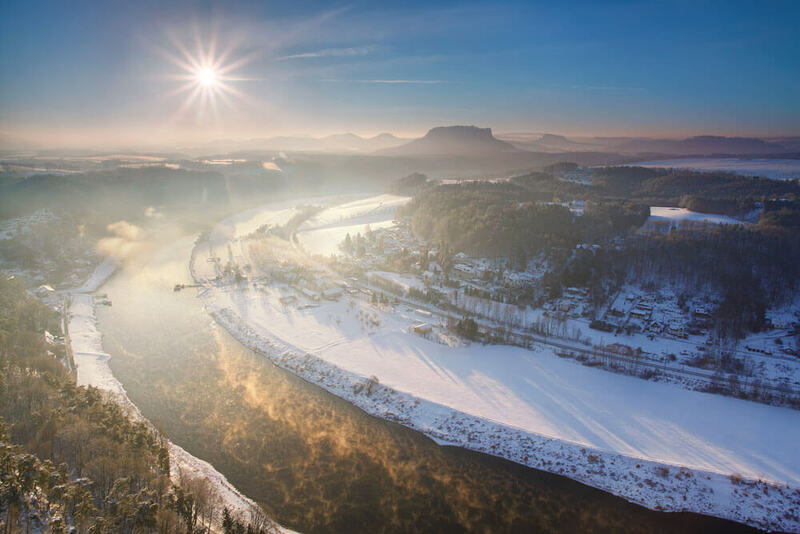 We encourage you to come back and see Bohemian Switzerland in the winter. Berty and I love going back to places a second, or even third time to see the same place in different seasons. They bring new perspectives and an opportunity to see favorite places in a new light. No wonder some painters and artists spend years in once place! Because Czech Republic is on the northern hemisphere, the days are much shorter in the winter. 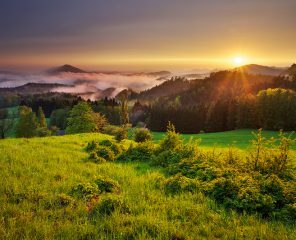 During the peak of winter season in Prague (winter solstice/December 21st) the sun rises at 8:00am and sets at 4:00pm. Berty and I actually came on the shortest day of the year to hike with Northern Hikes! If you are interested in photographing the landscape during these times, it’s absolutely possible to see both in the same day during the winter season. 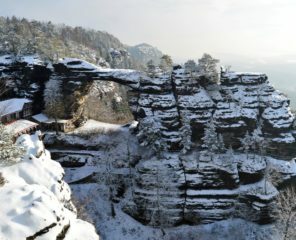 HAVE YOU BEEN TO BOHEMIAN SWITZERLAND IN THE WINTER? WHAT WAS YOUR EXPERIENCE LIKE? If you want to know more about our trip, our experience with the excellent Northern Hikes team, or just about us, you can find our blog at TheMandagies.com and on our social channels at @themandagies!